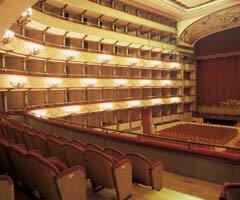 Il teatro Verdi - FLORENCE LIVE! Constructed in granducale Florence on the place of the trecentesco jail of the Stinche, the Pagliano Theatre, that it takes to the name of Theatre Greens in 1901, is the only one between the numerous theatres builds up to you in Florence of 800, the elect one also to understood them of Italy, than, through the large changes of a century and means of history, it arrives to the days ours in full activity continuing to being, for Florence and the Tuscany, the center for the great occasions, the musical appointments and the popular shows. 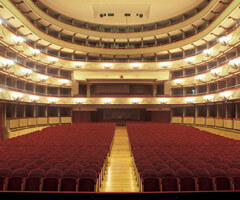 Dream realized from Girolamo Pagliano, former baritone and lucky person inventive druggist of a elisir of long life, the theatre, that september of 1854 with the Viscardello, first title it of the verdiano Rigoletto appeared from endured imposing (was between seven larger of Italy) inaugurated the 10. 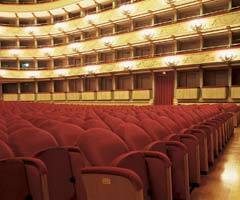 The prevailing lyric vocation, with new works of repertorio and tito them, characterized for along period happy seasons directed from Pagliano. The years interpreters of 800 of exception like Vittorio arrived then of the patriotic and humanitarian manifestations the first memorable with the great spectator and teatrali preparations, Emanuele II. In the 1865 Theatre it risked to disappear in a fire, passed of hand from an owner to the other then; after the first world war he opens to the operetta popular and with the Castellani property the greatest actors of the 1900's arrive.